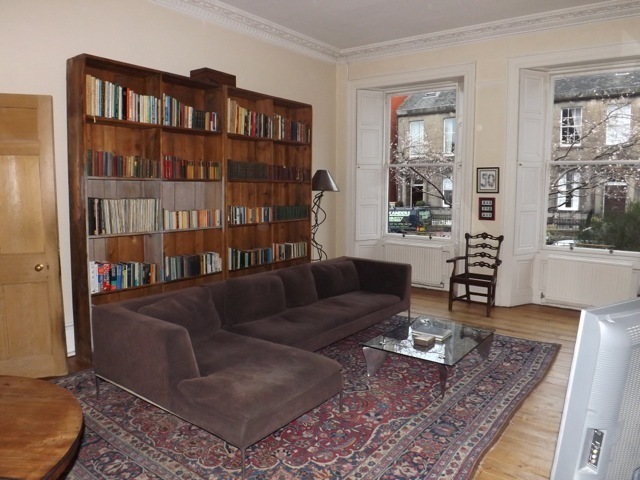 Large original featured living room with large wooden bookcase spanning one wall. Large brown corner sofa on persian rug. Cream walls and white ceiling with cornicing.